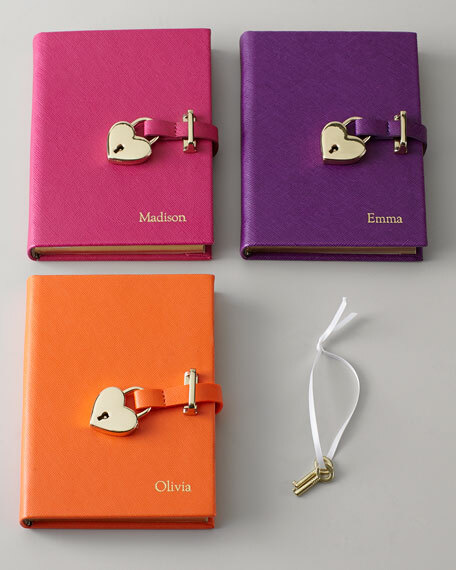 Diary with fully functional heart lock with key. Made of faux Saffiano leather. Includes 240 lined cream-white, acid-free archival pages with gilt edges and a double-faced cream satin ribbon marker. Personalization is one line up to 12 characters/spaces in color and typestyle shown.